Description: This fine presentation cup has a goblet shaped form with a spreading pedestal foot. 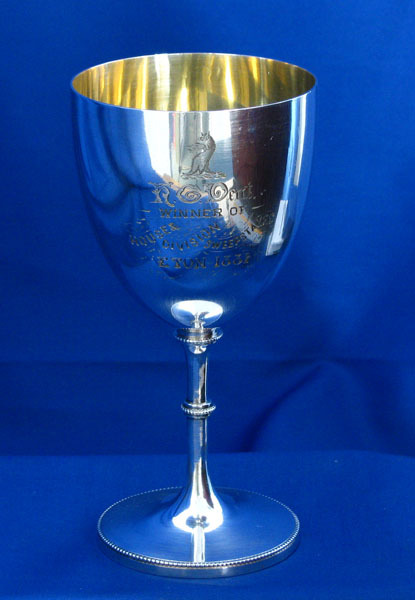 The body of the cup is engraved with presentation detail. 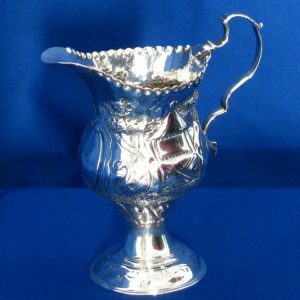 The stem of the cup has decorative beading at three points including a collar at the base of the goblet. The inscription reads “R.G. 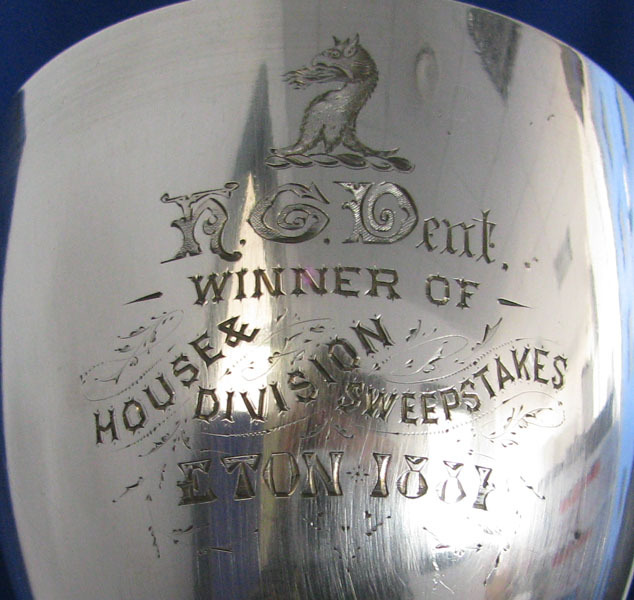 Dent, Winner of House & Division Sweepstakes, Eton 1881”. 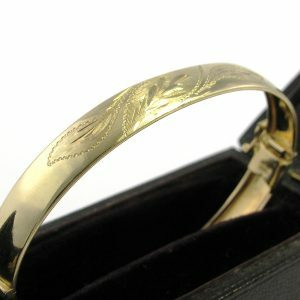 Dimensions: Width 7.8cm/3″ widest point at rim. 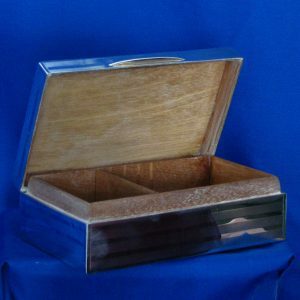 Width 6.5cm/2.5″ at base. Height 15.5cm/6.25″ top to base. Maker: Richard Hodd & Son (Richard Hodd I & Richard Hodd II), 1827-28. 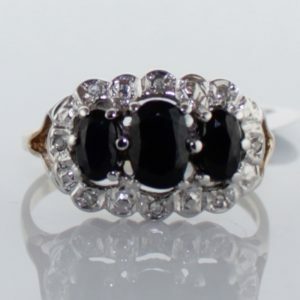 This business was established in 1849 at Hatton Garden as Goodfellow, Tilley & Hodd (1849-1854). Later the firm became Goodfellow & Hodd (until 1860), Richard Hodd (until 1862), Hodd & Linley (untiil 1872) and Richard Hodd & Son from 1872 to the present. 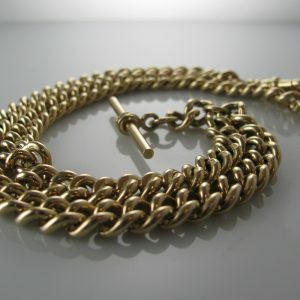 Solid Curb Link 9k Yellow Gold T Bar Chain - 18"